"The elemental imbalance favors the fire kami. They erupt even after minor offerings. 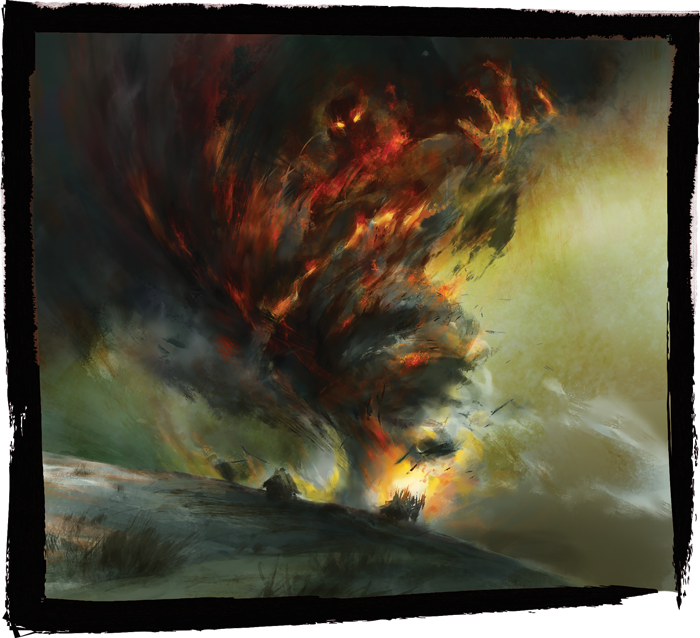 The council says this is the cause of the drought, of the unseasonable heat…"
Fantasy Flight Games is proud to present “Outsiders” by Robert Denton III, a new short story set in the world of Legend of the Five Rings! "Outsiders" focuses on the Phoenix Clan and can be downloaded here (1.3 MB). While this story can be read on its own, it does follow up on plot points found in The Sword and the Spirits novella. Be sure to visit the Fantasy Flight Games website every week for more Legend of the Five Rings fiction, as well as further information on Legend of the Five Rings: The Card Game and Legend of the Five Rings Roleplaying. Join us next week for “Heart of the Garden” by Edward Bolme, a short story featuring the Unicorn Clan! Discover the imbalance of the elements with The Fires Within (L5C11), available now from your local retailer or on our website!